We cover from Phoenix to Prescott and beyond! If you live in Phoenix, we have you covered for auto glass repair and windshield replacement. We do mobile, on-site auto glass work in Phoenix, Scottsdale, Cave Creek, Anthem, and Glendale. For the east side of the metro area, we cover all your auto glass needs in Mesa, Tempe, Chandler, Gilbert, Apache Junction and beyond. 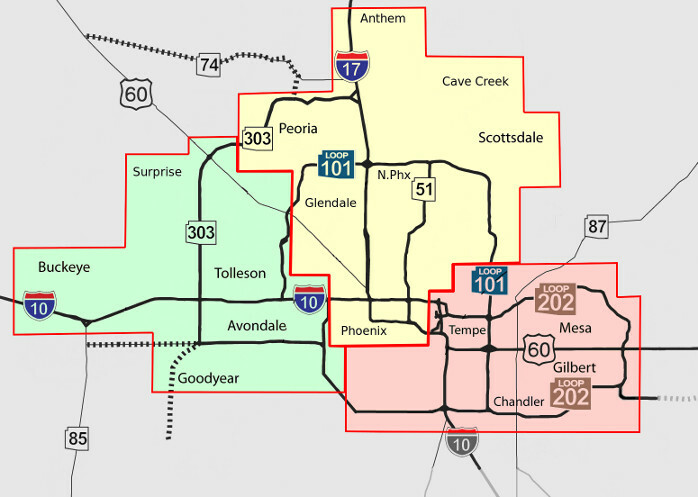 On the west side of the metro area we cover Avondale, Goodyear, Buckeye, Glendale, Peoria and More! We love Northern Arizona! We are a premier auto glass repair company for Prescott and the surrounding areas. 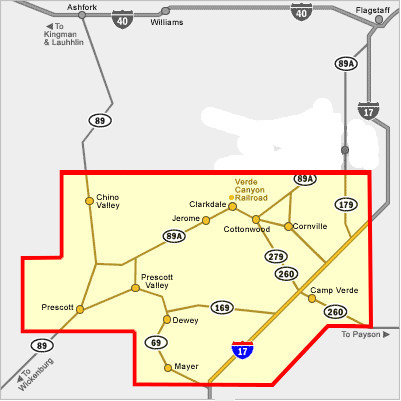 In Northern Arizona we cover Prescott, Prescott Valley, Chino Valley, Dewey, Mayer, Jerome, Clarkdale, Cottonwood, Cornville, Camp Verde, and more. Don't put off your auto glass repair! We cover a wide service area, and we do mobile, on-site repairs. Contact us today for your windshield replacement or chip repair!